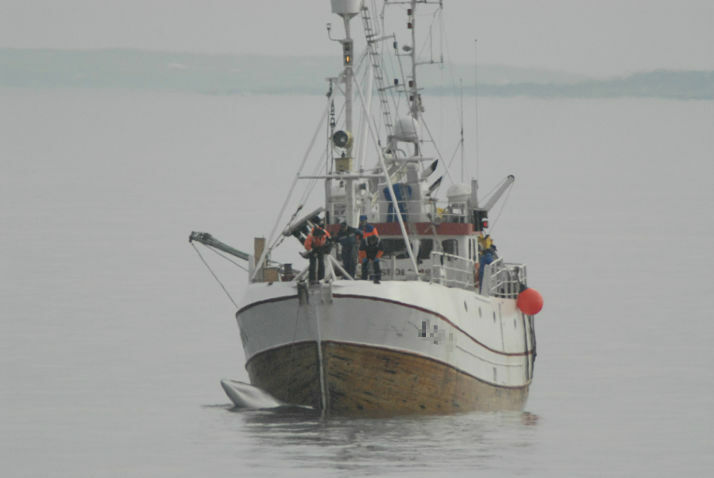 1 Feb 2019 – As the Norwegian whaling industry prepares for the start of the 2019 whaling season, it is time to yet again scrutinize operations that are widely and strongly condemned on animal welfare as well as ecological grounds. 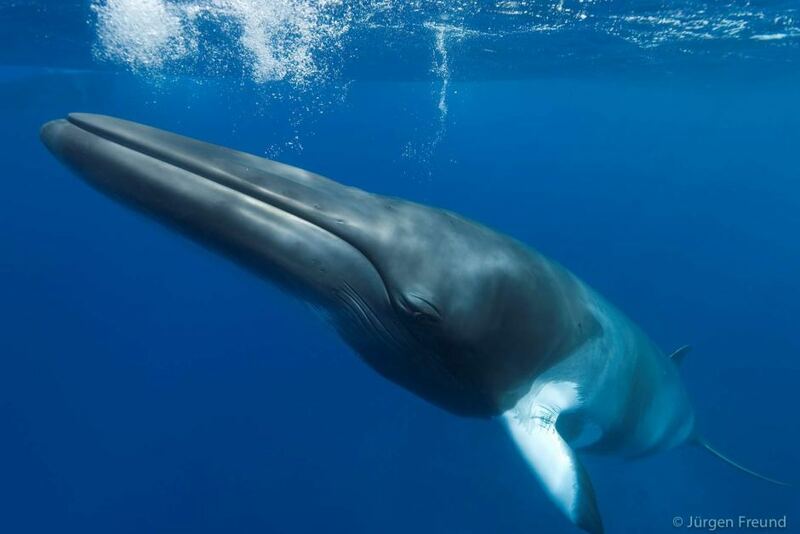 With no domestic market for the meat Norway’s government subsidized hunting of minke whales is now mainly for use as animal food in Norway and for export to Japan. The Environmental Investigation Agency (EIA) and Animal Welfare Institute (AWI) previously released documents that indicates Norwegian fur farms have used minke whale meat to feed animals raised for the country’s fur industry. In 2015, Norway exported 258 and 1,000 tonnes of fox and mink skins, respectively, to the European Union, with the majority imported by Denmark and Finland. EIA and AWI join the Swiss-based organisation OceanCare and the German organisation Pro Wildife in urging IWC member countries to take action against Norway for its escalating whaling and trade. 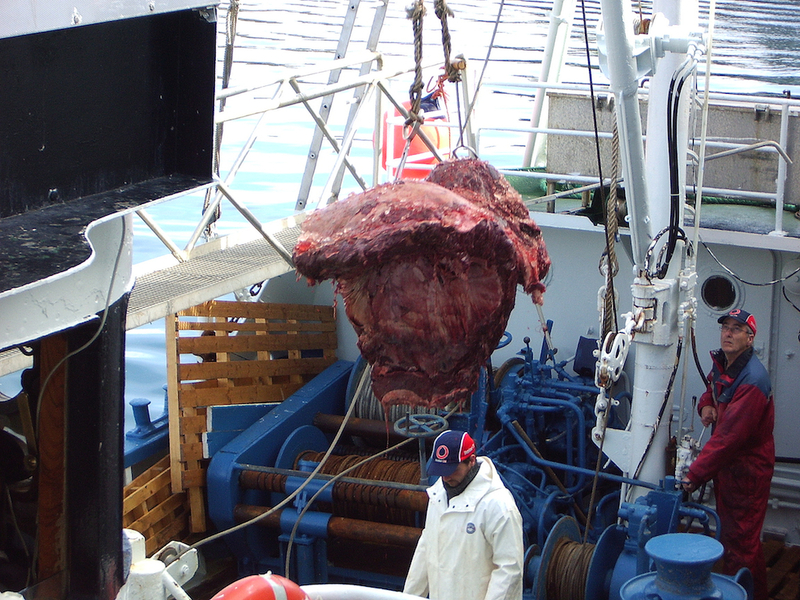 Whalemeat being unloaded from a whaling vessel, Norway. Taken during the Norwegian Whaling Undercover Investigation, May 2005.